Canadian rapper K'naan is travelling the world part of a corporate machine that is gearing up enthusiasm for this summer's World Cup soccer tournament in South Africa. 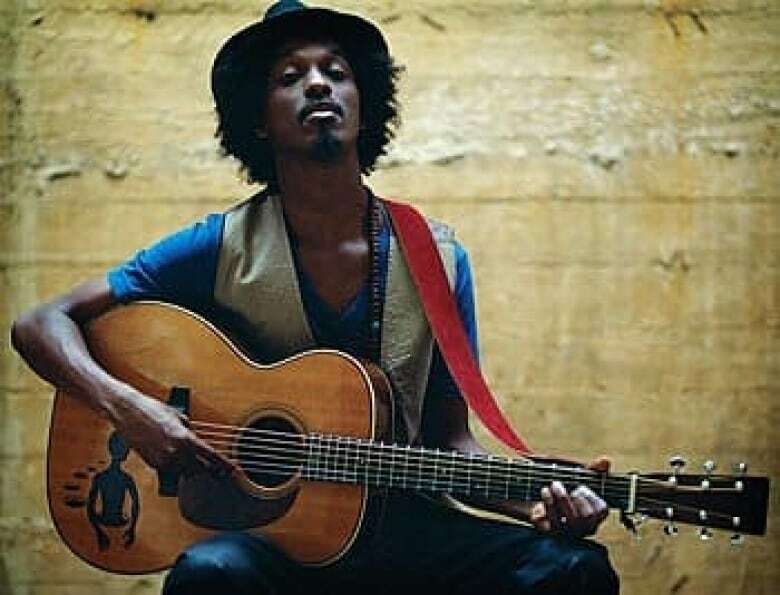 If you are a traveller and treasure your worn-out passport, then you'd surely find K'naan's faded and rough-edged Canadian passport a thing of envy. The colourful visas inside are scenes in a tapestry that tell the story of a musician touching the world's corners ever so briefly and gently, before being bungeed off in another direction. Mozambique. 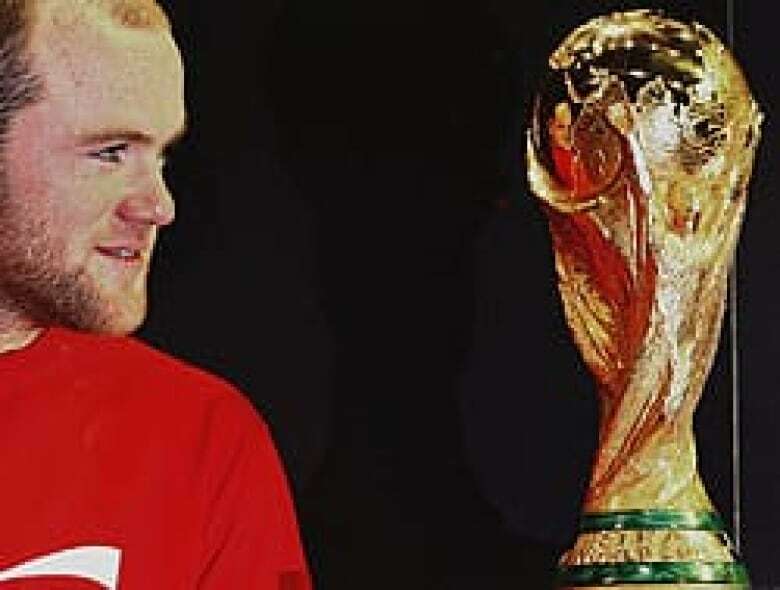 That's the visa he likes the most, possibly the country in which he's felt most alive during his recent whirlwind global promotional tour for soccer's World Cup. And Comoros, an archipelago off the coast of Mozambique, is a place he says reminds him of no other on Earth. "The entire island feels like it has a story, a secret," he says. His O-1 visa for the U.S. — which lets foreign nationals with "exceptional ability" work in the country —tends, he says, to make customs officers look at him with a bit more respect. Many, though, seem wildly confused by a man born in Somalia, holding a Canadian passport that in a few months' time has nearly run out of pages. Twenty-two countries in Africa, several more throughout Europe, South America, Russia and Asia. "What are you?" some have apparently asked. "Do you work in the oil business?" No, but at moments it's just as slick. For these few months, K'naan is part of a corporate machine that is gearing up enthusiasm for this summer's World Cup soccer tournament in South Africa. His already ubiquitous Wavin' Flag song is gradually becoming even more of a phenomenon. 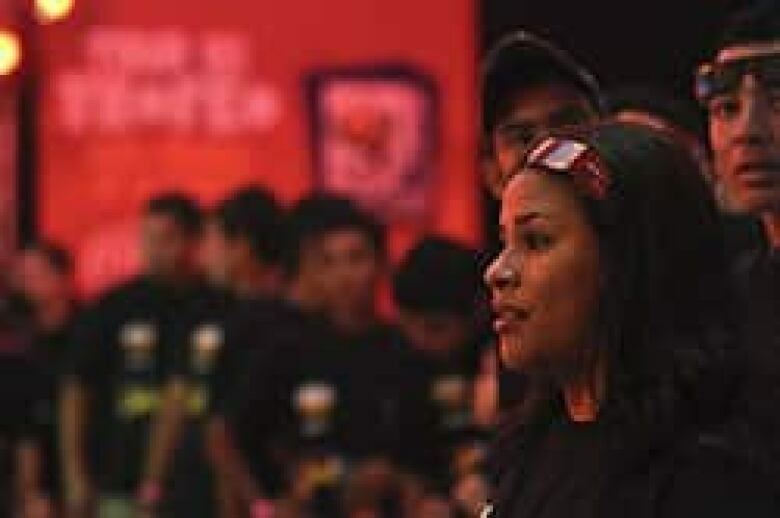 Chosen as the anthem for the global trophy tour for the 2010 World Cup, it is being heard in hundreds of cities, wherever the tour juggernaut stops. The 225-day whip around the planet, which started in Egypt in September and is expected to land in Canada in late April, has the trophy as its real star. The famous golden statue is protected with the sort of security that would make the heads of small states drool with envy. At each stop, the trophy arrives to a welcome with lots of dry ice, flashing lights, speeches and THE song. Later, K'naan takes to the stage for a concert of a few of his other songs before the big production number of THE song — again. Then he's off. That means a new country and exposure to a new audience. Surely, this is thrilling for an artist. But it's more complicated than that for K'naan. "The biggest issues I have stem from playing concerts where my sentences that helped me live are lost on those who listen," he says about playing before audiences who don't speak English. "I can't explain how problematic that is. Bob Dylan used to say he doesn't like playing in France. I understand that." Coming from anyone else the reference to "my sentences that helped me live" might elicit an eye roll. But K'naan is sincere. The stories of the scars Somalia inflicted on him are rather well known now. He saw friends killed. He felt fear and he was whisked away as a teenager to relative safety in North America to ensure war didn't swallow him entirely. But, it might not be right to characterize his time in Toronto as a rescue. He recoils at the suggestion, because he says life in Canada wasn't necessarily free or safe. "Going to Toronto was great in all the textbook things," he explains during a recent interview from the tour in Mexico. "Here was a place where you weren't in war. Great quality of life, good culture, good schools, but you have to understand that that is relative. Those checked boxes and dreams don't apply to people equally in Canada. When you are an immigrant and a black immigrant where your parents don't come with a certain education and you are running from war and you have nothing, you are at the mercy of society." And that meant coping with violence and injustice and jail and murder and suicide. Did he lose more people in Toronto than Somalia? "No, but it's rivalling Somalia 'cause even if I didn't lose them to death. I lost them to prison and deportation." So, back to the matter of coping. And writing. Diagnosed with Post Traumatic Stress Disorder after his time in Somalia, K'naan needed some way of working through the dark patches. His words seem to have always been that tonic. He does indeed mean it then when he talks of sentences that helped him live. You won't find lyrics about the Canadian troubles in his albums. (Unless you can find an early album that has a song called "Dixon" on it. He says he hopes no one ever does!) But he maintains Canada has had a more subtle creative influence. It's about, it seems, the space to write. A walk in Toronto, a certain cold he felt can transport him to a place and the words come. On these travels with the World Cup there is much writing: on planes, on quick walks, eating backstage. His cell phone is full of melodies and lyrics all influenced by the different colours and sounds and languages bombarding him daily. All of these tastes of different civilizations make his citizenship and sense of home as confusing as the passport he clings to. But for his fans it makes all those precious sentences that much richer.